Music is an artistic bridge to success in science and mathematics. Students who study music are known to perform better in STEM subjects. They put the STEAM (Science, Technology, Engineering, Art, Math/Music/More) in STEM! Indeed, performance in all subject areas is improved. 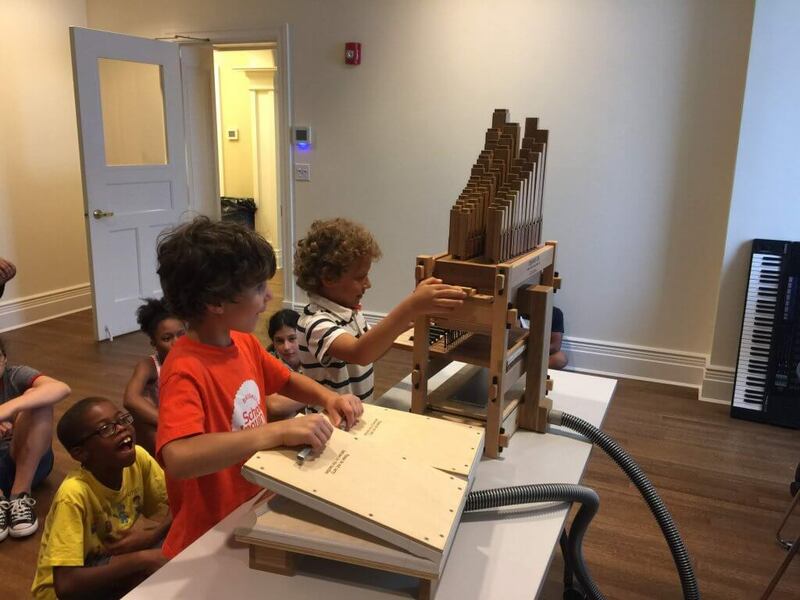 Our unique programs inspire kids to explore the science and art linkage that the pipe organ exemplifies. FREO sponsored its inaugural education program in 2017. The program, called “Pedals, Pipes and Peals,” is a summer musical experience for students grades 1-8. Young people discover music and performance through various instruments through the lens of the monumental Erben pipe organ. Pedals, Pipes and Peals 2019 will take place Monday through Friday, July 22-26, with a festive performance on Sunday, July 28. Contact us at [email protected] for details! Activities include English handbells and chimes, violin lessons, keyboard instruction, as well as creative arts projects and interactive science workshops. Kids even construct their own small mechanical pipe organ! This project takes the apartment-size components of the Erben and creates a hands-on, minds-on activity for students. The program concludes with a festive student performance and reception for the whole community. Participants explore various principles of sound production, with the “King of Instruments” as the laboratory. The kids are able to walk inside the Erben organ as Jared plays to see all of the mechanisms that allow the organ to speak: bellows, pipes of different shapes and materials, stops, keys, pedals, and more. 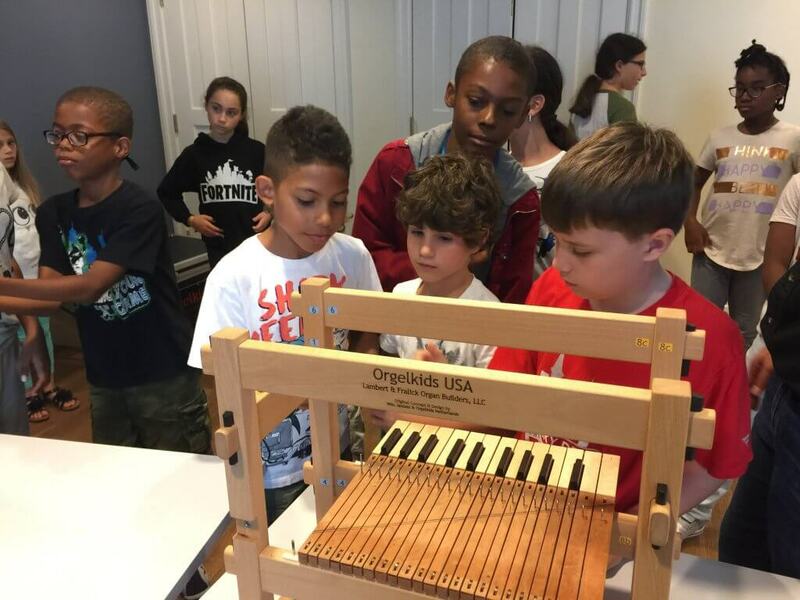 They learn how the organ breathes and replicates the sounds of orchestral instruments, while appreciating it as a NYC-made historical and technological artifact, dating from a time before the invention of recorded sound. FREO was excited to offer this unique educational program again in 2018, and expanded it to kids entering grades 1 though 8. Due to popular demand, Jared gave more opportunities for students to pull stops and play the organ itself! See photos from the 2018 camp here. Building upon our success in the past two years, the 2019 camp is sponsored in part by public funds from the NYC Department of Youth and Community Development in partnership with the City Council (Margaret Chin, Council Member). The camp is open to all and scholarships are available. Please email us at [email protected] for more information. For his support of the Friends of the Erben Organ, on the eve of his 76th birthday, FREO presented Martin Scorsese with an award in the name of his loving parents. 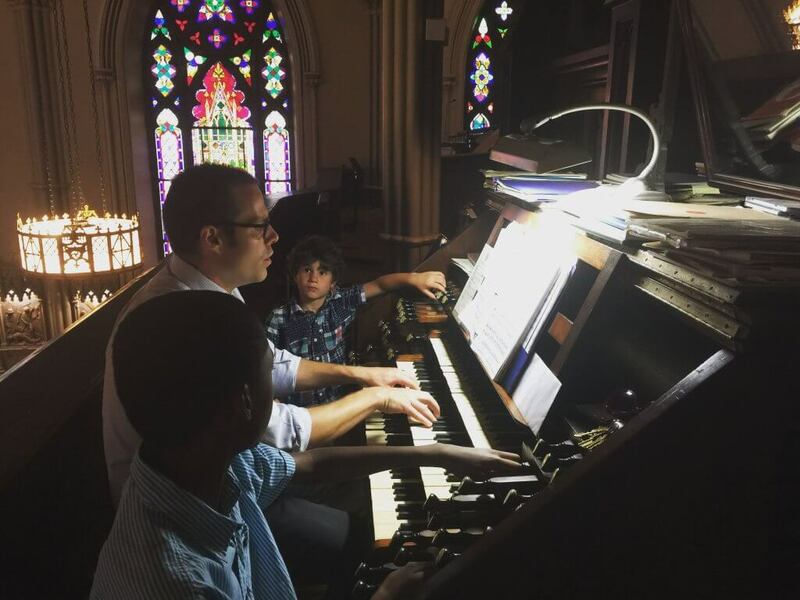 The scholarships enable children of diverse backgrounds from around the city to experience the beauty of this 150-year-old New York masterpiece, the 1868 Henry Erben organ, and discover the music within them. FREO is extremely grateful for his generosity in agreeing to be our Honorary Chair and assist our fundraising efforts. Tens of thousands of people every year get up close to encounter the Erben, an functional art object that only NYC could make. If you are interested in taking a tour of the catacombs by candlelight as well as the Erben organ, contact Tommy’s New York Tours. Other tours, learning programs, and performances take place throughout the year. Check out our News & Events for more information and join our Facebook page to find more events. Part of our outreach is teaching people, both young and old, about the pipe organ. The pipe organ’s history of over 2,000 years of technical and artistic development is a treasury of multidisciplinary learning. We commissioned an Orgelkids kit in for our camps, but also loan it out to other educators throughout the year. To offset the initial cost and keep our programs running, we do charge a rental fee for its use. Please contact [email protected] for more information.